Fresh from its Super Bowl debut, tech company amps up recruitment efforts as it battles it out with the big guns. Squarespace, the little-known, Soho-based tech company that catapulted into the public eye with a Super Bowl commercial, is prepping for a battle of its own: luring tech talent to New York City. On the heels of its Super Bowl coming-out party, the website publisher and hosting service is launching a campaign to attract engineers and designers from around the world who have plenty of employment options to choose from. Squarespace, which already employs 268 in the city, is investing $15 million in local talent this year, with a goal of adding 30 engineers and designers this spring and a total of 150 city staffers over the next 12 months. To make its case to potential hires, the company is offering free, deluxe trips to New York. Applicants selected by Squarespace before March 15 will receive roundtrip tickets for themselves and their significant others, plus long weekend stays at the Soho Grand Hotel. The recruitment campaign, called "Be a Part of It," has other perks, too, including free meals, entertainment and museum visits. "We really want them to experience New York," Joris Luijke, Squarespace's vice president, people, told the Daily News. "We know if they fall in love with New York City, they will fall in love with Squarespace." Chasing down talent is no fun and games for local tech startups, who have to compete with big guns like Facebook and Google. Facebook, whose New York City office will move to larger headquarters at 770 Broadway early this year, just celebrated the hiring of its 100th engineer. Now the social media giant, which just turned ten years old, is looking to "double our footprint in New York and continue to scale our contribution to major areas of the company," Serkan Piantino, head engineer at Facebook New York, said in a recent blog post. Strong demand for talent has engineers earning anywhere from $100,000 to $160,000. "The hunt for talent is extremely hard," Luijke said. "The big companies hire really large recruiting teams. We are a medium-sized company. We don't have the budget for that." 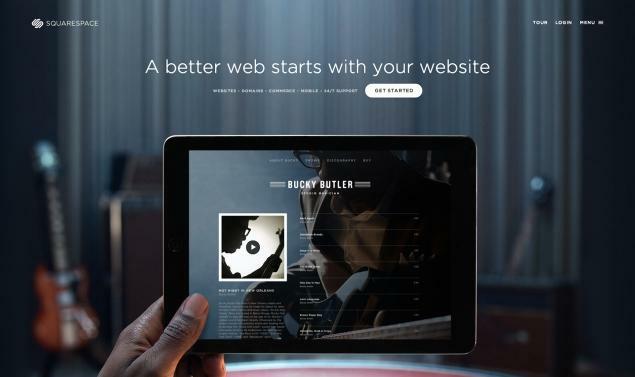 Squarespace will also reward those who send talent its way. If someone refers a friend who ultimately gets hired, Squarespace will offer them a roundtrip ticket to New York from another U.S. city. The company, which was founded in 2003 by Anthony Casalena and has raised $38.5 million from Accel and Index Ventures, is hoping the buzz it generated from its Super Bowl ad will carry over into its recruitment efforts. The 30-second tongue-in-cheek spot featured all the lousy stuff circulating on the Internet. "This is a good time for us with all eyes on the company," Luijke said.